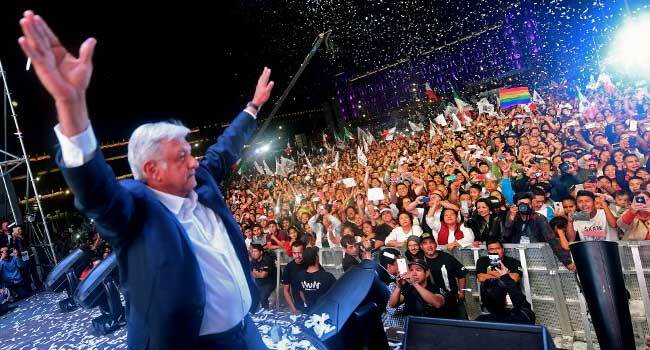 Canada’s Justin Trudeau late Sunday congratulated Mexican leftist Andres Manuel Lopez Obrador on his sweeping presidential vote win, citing “common goals” on trade and human rights advancements. “Canada and Mexico are close friends and longtime partners. We share common goals, strong people-to-people ties, and a mutually beneficial trading relationship that is the envy of the world — reflected in our joint effort to update the North American Free Trade Agreement for the 21st century,” Trudeau said in a statement. The sea change in Mexican politics comes as talks to renegotiate the NAFTA pact have stalled over attempts to satisfy US President Donald Trump’s demands.